In the academic world today, there are an abundance of ways in which teachers and parents try to motivate their students. A simple Google search of “student motivation” produces a staggering 194 million results, and another search of “how to motivate students” reveals over 50 million hits, indicating the desire for student success. In recent years, modern day incentives have become readily available to students of all ages in an effort to increase overall academic performance. These programs range from having ability to use technology in class, to being paid for milestones or achievements. While some of these programs have been criticized for decreasing the overall value of education, there is increasing evidence that shows they might be one of the best ways to motivate students to success. A 2010 Harvard University study led by Roland Fryer, Jr. found a positive correlation between offering students monetary incentives and improved academic performance. This longitudinal study focused on 18,000 children attending public schools in Dallas, Washington D.C., New York City and Chicago. Students in each city were offered a different incentive to improve their performance. In Dallas, students were paid two dollars for each book they read. The students in Washington D.C. were paid for earning good grades [B’s in all classes], maintaining attendance and completing homework. At the New York City schools, students received money solely based on test scores. Finally, students in Chicago were paid based on grade averages from report cards. The students were tested both prior to and at the end of the study as a way of measuring the overall impact of the incentives. The study revealed that students of New York City and Chicago only improved slightly. Researchers attribute this minimal increase to the fact that only requiring adequate grades and test scores do not improve one’s learning habits or further develop skills. However, students in Dallas and Washington D.C. saw a marginal increase in performance. This is most likely because the requirements for earning the money at these schools focused on building reading comprehension skills and improving overall work ethic. While the results varied slightly based on the type of motivation the subjects were exposed to, upon comparison of the initial and final test scores for all students, there was a significant enough increase to attribute the increased scores to the monetary incentives offered by Harvard University. I personally encountered the effects of monetary incentives after conducting an experiment on a group of Concord High School students for my Human Psychology class. I tested the effects of offering a ten dollar gift card to the highest scorer on a pre-made intelligence test. In order to test the overall effectiveness the incentive, I compiled two groups of subjects: a control group and an experimental group, both consisting of freshmen males and females. I distributed the same test to both groups and gave everyone an equal 5 minutes to answer the ten questions. The control group was not exposed to any sort of incentive whereas the experimental group was offered a $10 gift certificate for the highest score. Upon analyzing the results, I found a significantly higher average score in the experimental group in comparison to the control group. In the control group, the average score was a 47.9%, whereas in the experimental group, the overall average was a 54.7%. While there is only a 6.8% increase in group average, it is a statistically large enough difference in scores to indicate a major difference between the two groups. This small-scale experiment is evidence that students at CHS could potentially benefit from receiving incentives for learning. While incentives have been proven to improve grades, test scores and overall work ethic, reactions to this fairly new concept have been mixed. This reiterates the point that opponents have been using for years: If schools pay students for good grades, are students working for the knowledge or for the money? Does this take away from the value of learning? 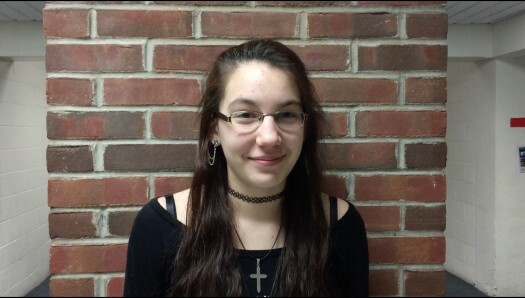 CHS junior Olivia Townsend dislikes the removal of focus from academics in this scenario. “The world has too many systems already. . . . Schools should reward kids with things other than money, because learning is not a job, but just something all kids should do in order to succeed,” she said. The origins of the money is a widespread concern among both the public and researchers. So far, all the money paid out to students has come from private funding. However, if the money were to come from taxpayer dollars, there could potentially be a large uproar.